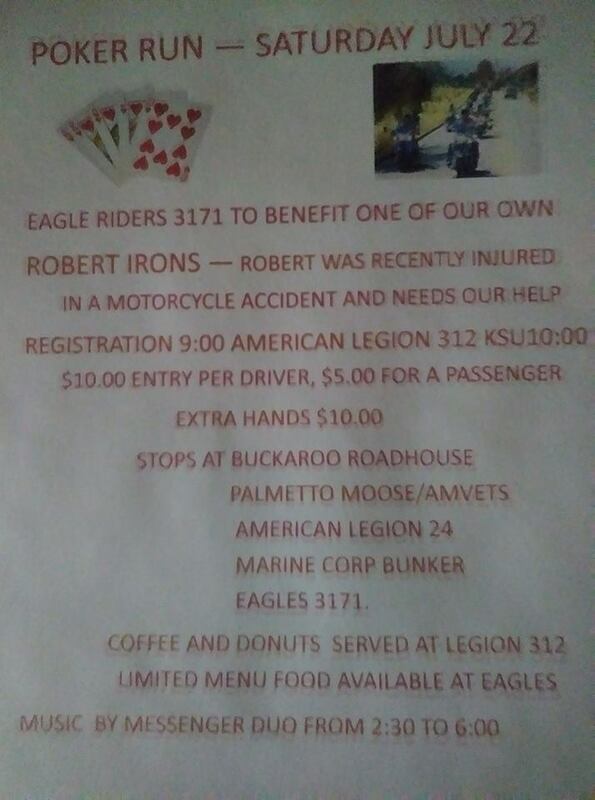 Don’t forget this Saturday July 22 is the Benefit poker run Starts at American Legion 312 located at 1610 67th Avenue East, just south of the Eagles. We are people helping people and this is for our very own. If you can’t join us for the ride, join us at the Aerie around 1.00 for food..raffles music by Messenger Duo and of course beverages.